Vail Town Manager Greg Clifton has notified the Town Council and town staff of his intention to leave the organization effective immediately. Clifton has been Vail’s town manager for the past 19 months and previously served as the town manager in Telluride for seven years prior to his arrival in Vail. Vail Mayor Dave Chapin says the organization has made progress on numerous other fronts during Clifton’s tenure, including the new parking garage at Red Sandstone Elementary School and Vail’s certification as a Sustainable Mountain Resort Destination. He was also instrumental in formation of a new Housing Department. “We wish Greg the best and appreciate all that he has done to move this community forward,” Chapin said. 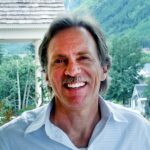 Clifton has also helped raise Vail’s profile across the state with his involvement as a member of the Colorado Municipal League Board of Directors, the I-70 Coalition, Colorado Association of Ski Towns and as a founding member of the Colorado Communities for Climate Action. Assistant Vail Town Manager Patty McKenny will serve as acting manager while the Town Council determines next steps in initiating a search for Clifton’s replacement.